Meet Emma from Montessori Enterprises! Today I want to introduce you to Emma from Montessori Enterprises (www.montessorienterprises.com.uk). 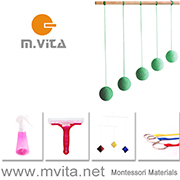 Montessori Enterprises stock a wide range of Montessori language materials. You can order individual items including objects, picture cards, word strips, phrase strips and sentence strips or complete sets. Including the Pink, Blue and Green Series. This makes it super easy for teachers, homeschoolers or even parents at home to find what they are looking for. Let's find out a little more from Emma! Can you tell us a little about yourself and your Montessori journey? Hello, I'm very pleased to meet you! My name is Emma and I run Montessori Enterprises - a Montessori language materials maker and supplier online store. My own Montessori journey started in 2006, whilst I was managing an independent educational children's store - when I got speaking to a Montessori directress who worked locally. I've always had an interest in education (and originally my dream was to be a reception teacher!) - particularly within the early years and was both inspired and intrigued by what I was hearing from her. I was invited to come and observe at her school, which I did a few days later and was absolutely blown away by what I saw! Small children completely independent in a beautiful environment, leading themselves towards their own learning with the adults acting as guides. It was unlike anything I'd been exposed to and being disillusioned previously with 'mainstream' education and the general approach of 'one size fits all', I felt like I had found my calling and for me this seemed like the most natural and logical way to educate children from birth. I begun my training a year later in 2007 with Montessori Centre International and since graduating - I have worked in a number of settings both in the UK and abroad (I have helped to set up schools in Russia as well as run a Montessori assistants course with a colleague). I run Montessori Enterprises from my home office in Walton on Thames in Surrey and currently I also work as a tutor for Montessori Centre International. How and why did you open Montessori Enterprises? Can you share with us a little about your products and your focus on Language Materials? Montessori Enterprises has existed for the past 20 years, previously run by my ex-tutor and fellow Montessorian Ann Jacobs, who retired last year and whom we took over from. 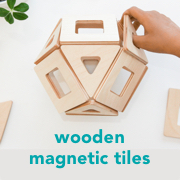 It was important to me to keep the business going as it is so unique and for our customers and the Montessori community - it offers great (and hard to find) materials that are all in one place! I'm also very passionate about early years literacy and this particular area of the Montessori curriculum I believe, is one that teaches reading and writing in such a beautiful, hands on way that supports all types of learners. Our range offers a wide selection of attractive and carefully sourced objects at pink and blue levels (3 letter phonetic objects to objects that include blend sounds, schwa vowels, compound words and more) as well as word cards, sentence strips, language boxes in a range of colours and later literacy materials for early grammar and more complex phonemes. Over the past year we have worked on getting the website running so that customers can buy directly from us - previously it was purely static. The website is still a work in progress and I'm always working on new ideas for literacy materials that support children's language journeys with a Montessori focus - aside from the regular range of materials that we stock and make. I continuously search for new and interesting objects to add to our offering and in the future, I hope to provide videos that support homeschoolers, parents and students as well as to add to our social media offering (currently we just have an Instagram page - you can follow us here). Very soon (watch this space!) we will be collaborating with another Montessori supplier to offer literacy products that complement our range superbly. We are very excited about the coming months! Recently, we have started to offer our printed materials in a joined up Sassoon font, which is a great indirect way to expose children to the relationships between the letters and supports preparation for their later writing practice. This year we exhibited at both the MSA and the MEUK conferences and received very positive responses. We hope to do this again next year and meet more passionate Montessorians and educators. Having worked as a Montessori teacher for many years, I understand the lack of time educators face (when preparing literacy and language materials), as well as the issues that homeschoolers, students and settings have in sourcing phonics objects and literacy materials (we are a niche!). My aim is to offer a unique, efficient and informed service, supplying high quality literacy materials internationally - and always with the child in mind. The objects we sell are aesthetically pleasing, child sized and realistic and our materials are durable, illustrated with hand painted pictures and printed using the child friendly 'Sassoon' font. We have our boxes specially made for us and I make all word cards and strips by hand - which I find a very therapeutic process! Absolutely! We currently can ship everywhere, except for (regrettably) the USA and Canada. Your products are used in Montessori schools and homeschools. Can you help parents with little ones at home starting out with Montessori language materials? Yes, we sell to many different individuals! Our complete pink set is a great option for schools and homeschoolers who are starting out and for children who already have a knowledge of the phonic sounds of the alphabet. Through working with boxes 1-5 - the child will move from a concrete experience of reading and writing (using the moveable alphabet, which allows the child to 'write' without using a pen) to an abstract experience (by eventually reading the printed word cards) and will become exposed to new vocabulary and become a confident and able reader. I love to hear from our customers and can offer advice to both first time settings as well as to home schooling parents (and others of course!) who would like a more in depth run through or individualised advice that is focused on their child's developmental stage and current interests. You also make bespoke products, can you tell us a little about this process? I'd love to! Because all the strips and word cards are made by hand, I'm able to offer customers the option of choosing specific words that are specific to their individual needs and the current stage that their child/ren are at. Settings that already have existing objects are able to order for example laminated work cards on the coloured paper of their choice, in whichever size and font they would prefer - perhaps to match existing materials. Our main range is listed on our website, so for those that would like to make a bespoke order, please do pop me an email - I'd be very happy to hear from you. Montessori students who would like to make their own materials have the option to buy our picture stamps and printed words to make themselves and all our objects, sets and cards can all be purchased separately, so that customers are able to 'pick and choose' whichever materials they require. Thank you to Emma for sharing a little about herself and her store! This post is sponsored by Montessori Enterprises. I know language materials can be hard to source so I hope you find this post useful! You can stay in touch with Montessori Enterprises (and get a few language ideas) on their website and also on Instagram! Ruth Barker from Toddler Education Services and a Book Give Away. Since moving to Brisbane I've had the opportunity to meet more Montessori people than ever before. More teachers, more educators, more Montessori parents. Recently I had the privilege of meeting Ruth Barker from Toddler Education Services. I wanted to share with you a little about Ruth and her work with young people. I've interviewed Ruth below and at the end of the post there is a giveaway for some of her books! For those who haven’t met you before can you briefly introduce yourself with a little background on how you came to working with children and the Montessori method? I started my career with children in 1987. I began wanting to study Consumer Sciences at University. While doing the first two years I nannied some little kids. I knew there and then that it was my 'calling' so changed to a Social Science Degree in Child Development and Family Studies. Three years in I moved to London and worked in Early Learning and as a Nanny. Here is where I came across The Montessori Method. I was instantly hooked - more because the philosophy suited my pedantic and organised personality more than any other method I'd studied in my degree. On returning to Australia I completed Uni and enrolled in a Montessori course. Gosh I loved it! I ran a little program for years at home ... because I was born with Cystic Fibrosis and I deteriorated over time. I needed to keep things simple. I never advertised... they just kept coming! By 2011 my Cystic Fibrosis was so bad I had to close my homeschool down - and I started tutoring Literacy and worked with some special kids 1:1 - whilst on oxygen! In 2012 I had a double lung transplant. I reopened my tutoring program in September 2012... they all just came back! I loved it and so did the clients. But I didn't want to put myself under too much pressure - so I wrote - firstly, The Parenting 5 - Practical and Independent Little People and then a year later - Sensory Motor Play for Little People. The first book was staunch with Montessori Method. The second, more generalised so ALL parents / carers / teachers of any creed or philosophy could adopt the activities. It is a book filled with so many amazing ideas from both modes of study. This year, we moved from Adelaide to Bangalow in Northern New South Wales. I am working on concepts for EVERYONE. Montessori is my favourite philosophy but I am not a purist due to my first degree. I am also currently studying Bachelor of Occupational Therapy with a paediatric interest because my love for special needs is what drives me now. Next year I reopen a preschool. I've been lucky enough to purchase a gorgeous home in the hinterland with the bottom story being accepted by the council as appropriate for a small Montessori Centre. It's called The Hut Child Development and Family Learning Centre. I am delighted! I will work as much as I can (health first) with toddlers 1:1, preschoolers 1:1 or in a small group, literacy basics 4 yrs plus and as a parent and education consultant. I will also have an activity library! I write books for kids! Social awareness books for older kids - on organ donation and domestic violence and the Baby Morris Series for babies and toddlers... we open a new online gift store on my website today! Baby Morris instigates play in babies and toddlers - the key to great foundation brain development. The first three of six are out now! You have published the Parenting Five books. What was your intention for writing the books? They are aimed at parents and caregivers but what is the message your wanted to put out there? There are a couple of very important messages Kylie! The key ones being that between birth and preschool the foundation brain is wired. It is much easier to develop the foundation brain from the start than it is to fix the human later. There is a clear link between brain development in the early years and later life success. Secondly, I want parents and caregivers to provide children with what they need for successful brain development - ample sensory, motor and language activities, lots of understanding about the environments that surround the child and of course an immense amount of gross movement... we want strong kids physically and mentally. I feel so sorry for the little ones who attend 'school' later on and they are so weak and they have sensory issues. Activity and play is KEY TO DEVELOPMENT. You consult with many young families. Why do they come to you, what problems are they facing? Most of the families I have worked with as a consultant want to provide the best they can for their toddler. Some have had special needs concerns. Some want environmental changes so they can use 'Montessori' at home. Each consultation with a parent is done in their home or via Skype. It is no good if I can't see the environment because I believe children are never the issue! It's always what surrounds the child - the physical environment and the way they are 'actioned' within it - commonly known as 'freedom within limits'. Each family receives The Parenting 5 Practical and Independent Little People - it has a checklist we work through - everything from environmental preparation to behaviour and then practical life activity - the first portal for development. I've also been known to set budgets for families - using a budgeting worksheet... this is where my Consumer Science part degree has come in handy! I know you are very busy, what are your plans for 2016? Toddler Education Services Pty Ltd will offer The Hut Child Development and Early Learning Centre from February 1 for the local community - inclusive of consultation. I will continue to be available to to consult with families via Skype. The Parenting 5 will continue to be available to families - at only $9.95 each. Some exciting news with The Parenting 5... books three to five will be available as an all in one later in 2017. I am also continuing my commitment to Nurture - Australia's Natural Parenting Magazine where I am the Life Skills Columnist. This will include presenting my Practical Kids - Learning for Life Seminar in Sydney in July. I am also open to do my seminar for anyone who wants me to. Baby Morris and his online gift store for babies and toddlers will grow and grow. He has been so popular and the message of instigating great environments for little ones is getting out! He was released early in August and we have just ordered the second print run. All the products for the gift packs are up online today! Thank you to Ruth for joining us and for sharing her story. You can also find Ruth on Facebook, Instagram and Linkedin. Ruth's books are also available in the US or as Kindle versions here The Parenting Five: Practical and Independent Little People and The Parenting Five: Sensory Motor Play for Little People. We have to give away three copies of Ruth's books The Parenting Five - Practical and Independent Little People, Sensory Play for Little People and Baby Morris Plop. There will be three recipients who will each receive a copy of the three books. To enter please leave a comment in the comment section below this blog post. Comments will close on Wednesday 16th December at 8pm AEST (Australian Eastern Standard Time). Please only one comment per email address, open internationally. Comments have now closed. Thank you to all who have commented. I will be in touch with the recipients shortly. Previously I have interviewed Caspar my seven year old about school and Montessori. I thought it would be fun to interview Otis. It has been much more insightful than I had expected! On Friday after school I asked Otis some questions. How was school today? What work did you do? Good. I did metal insets and I had a lesson on something that is really tricky. You need a blindfold and the pink tower and you have to do this (with hand actions) and it’s really tricky work. Me: Did you build the pink tower with the blindfold on? Yes, I had to do this (more hand actions building the pink tower with his eyes closed). I normally do the pink tower and metal insets. What does a typical day at school look like? What do you normally do at school in the morning? In the morning I do metal insets. We have to have snack when someone is finished, you have to wait for a chair and you have to put your snack there and then you have to wash your hands with soap and go to your chair and eat your snack. You can’t play while eating snack. After snack it’s time to play outside. Play is after doing work and doing snack. Lunch is after play. You have to have a little bit of talking and a big bit of eating. We eat inside when it is raining, sometimes we have a picnic and sometimes we eat outside on the tables. When you are done you have to pack your lunch away. After lunch we do work. I do red rods and number rods. Can you tell me who Maria Montessori was and why was she so important? What did she do? Is your school peaceful? What does your school do to promote peace? Yes, kind of but it isn’t that peaceful. Sometimes it is very loud and I block my ears when it is very loud sometimes like this (hand actions blocking ears). This is peace (he shows me the peace sign with his hand). We just sing - I’ve got peace, peace, peace in my heart. I’ve got words, words, word, in my head. I’ve got peace, peace, peace in my fingers and I am going to give some to you. You go to a Montessori school. What makes Montessori schools different from other schools? Can you describe your classroom to me? What does it look like? What does it feel like? Clean. It has shelves for some work. Everything for work. There are teachers, chairs and tables. All of my things are in my cubby. You can leave your shoes on or put them outside at the little table you can’t sit on you just put your shoes on it. We have a book area with all of the books and nothing else, just books. We have a number area and a sen-sor-ial area. Everything. But not noise. I like my teachers and my friends and the work. Is there anything you don’t like about school? Everything I like. I know how to make a three (totally I random I know - hand actions of writing a three in the air). What are your favourite materials at school. What is your favourite work? Everything. I like shoe polishing and sandpaper letters. Music with Aiden. It is obvious that Otis doesn't know very much about Maria Montessori and he isn't aware that his school is different to other schools. I believe this is completely normal for his age and it isn't really anything we have discussed at home. I loved finding out a little more about the work and the material that he is most interested in. Normally when I ask Otis about school I get a run down of what his friends were doing or what they were playing in the playground so it was nice to hear a little more about the classroom. Otis also sounds really settled and positive about school and his work. Have you ever interviewed your children - what questions did you or would you ask? I have been following Sveta and her family on Instagram for a while. I find her approach to parenting and Montessori very refreshing. I can't tell you how much I love sharing the journey of other Montessori families. I aways find it so uplifting and inspiring. Today I am thrilled that I can share with you Sveta and her Montessori family. Thank you for sharing your family and story with us. Can you tell us a little about yourself, your family and where you live? My name is Sveta and my husband is Johann. We have two daughters; Maya, who is almost eight, and Nina, who is two. We live in Austin, the capital of Texas in the United States. Johann is an Engineer at a semi-conductor company, and I am a full time mom. In addition to my family responsibilities I lead a troop of Girl Scouts and teach a program called the Catechesis of the Good Shepherd (CGS) at our church. CGS is an approach to religious education that uses Montessori methodology. I post pictures of our Montessori life on Instagram with the username "itsapracticallife". I have been following your blog for many years, Kylie, and I am thrilled by this opportunity to share my perspective of my family's Montessori journey! When and how did you first become interested in the work of Montessori? I am particularly interested in what it was about Montessori that really connected with you and how did you learn more about it? I first heard the word "Montessori" several years before I had children. My cousin was considering a move to Austin and visited us with his family. They spent a day visiting different Montessori schools because their four-year-old, Robert, attended one in Portland, Oregon, and I tagged along. After visiting several Montessori schools, I was intrigued by how different they looked from any school I had encountered. However, what enchanted me the most was my nephew. Robert was unlike any four-year-old I had known. I was having very enlightening conversations with him on subjects like geography, and each time I asked his parents, "How on earth does he know all this stuff?" they would answer, "Montessori school!” I guess what really connected me to Montessori was getting to know a Montessori child. I sincerely regret that I did not pursue learning more about Montessori at that time. Both of your daughters attend a Montessori school. How did you find the school and is Montessori schooling something you will continue with? After having spent time visiting Montessori schools with Robert, I had understood Montessori to be an alternative method of education. I did not realize that it was a philosophy and a way of life. It was several years later when I had my own child, who was by then six months old, that I started to do some research on Montessori schools. I realized that the term "Montessori" was not patented, which is why the schools I'd visited seemed so different from each other. I also learned that there are several ways to spot a quality Montessori school. For example, schools accredited by the Association Montessori Internationale (AMI), are held to the most authentic Montessori standard possible. As luck would have it, there was an AMI school about 10 minutes away from our home. I literally got Maya on the wait list at this school within minutes of my discovery. She started in the Youngest Children's Community when she was 20 months old, and is now in her second year of Lower Elementary. Nina started at this same school at the age of three months in the Parent-Infant Community, and also joined the Youngest Children's Community at 20 months. The school goes all the way through the 9th grade (age 15), and yes, we absolutely plan on staying at our Montessori school all the way. Since our first encounter with the girls' school we have made a concerted effort to learn something through the Montessori lens each day. This mostly happens by observing our children. The more Johann and I learn about Montessori, the greater our longing to have been Montessori children ourselves. Last year this wish was fulfilled when we spent a weekend at "The Silent Journey and Discovery". This is an event where adults get to experience Montessori through the eyes of children, by being students in Montessori classrooms. It was an unforgettable experience. I love following you on Instagram because it’s so clear and easy to follow. Parents can easily look around their home for similar materials and feel inspired by your activities. Can you describe your approach to Montessori and how does it impact your everyday living? I believe that to be a Montessori family you don't need to send your child to Montessori school, neither do you require a single Montessori activity in your home. For me, following the Montessori philosophy boils down to two things. The first is how you communicate with your children. The second is how you prepare your home environment. Let me share my thoughts on communication first. When I was brand new to motherhood I would very keenly observe parents' interactions with their young children. I was acutely aware that my baby, who mostly needed to be loved and nourished, would very soon be a toddler whose cooperation I would have to enlist. However, when I heard the way children were spoken to, it just did not resonate with me. I would hear parents say, "Don't do that! It's not nice!" for example, and I would notice how ineffectual that approach was. But I had no idea of the alternative. That was until the day I first observed the Youngest Children's Community at the school my children would go on to attend. I heard the alternative and I saw how differently the children behaved. They cooperated with the adults in the environment without a single reward, punishment, threat, or raised voice, but after being spoken to at eye level with the deepest of reverence and respect. I remember leaving that observation with a much greater desire than wanting to know about the activities in the classroom. I recall thinking, "I desperately want to learn to talk like that." As it turned out, my children's Montessori school takes Parent Education very seriously because of its importance in forming a partnership between school and home. Very soon after Maya joined the Youngest Children's Community, Johann and I both took a class based on the books by Adele Faber and Elaine Mazlish. It is called "How to Talk so Kids will Listen, and Listen so Kids will Talk.” The class was taught by the founder and the Executive Director of the school. They were both in their early seventies. Between them they had raised seven children and had approximately 90 years of experience working in the field of education. At the end of the 6 weeks we drove away from the class realizing that we had been transformed from two people who had a baby, and were well on our way to becoming Montessori parents. With regards to preparing the home environment, I still often refer to an article I picked up at my very first Prospective Parent class at my children's school titled "Owner's Manual For A Child" by Donna Bryant Goertz. The article is now available on www.mariamontessori.com. It truly is such an enlightening and personal guide to preparing the home environment because it is written from the perspective of a first-plane child. I appreciate how much information is now available on setting up a Montessori environment, information that I would have been grateful for when Maya was a baby. At the crux of my approach is what not to have in a Montessori home. Firstly, our children do not have access to screens in our home, and Johann and I use them, as much as possible, out of their sight. By screens I refer to smartphones, tablets, computers, television, movies and video games. We passionately believe that screens are not compatible with a Montessori way of life, especially for children, because Montessori is sensorial; it is hands-on. Screens take away from the richness of the real-life experiences we want for our children. The other half of this two-part approach is that "less is more". We surround our children with as little as possible, but make the things they have available to them really count. Every item our children have access to in our home is of a high quality, and has a purpose. Your daughter Maya is 7.5 years old. What advice do you have for parents of children entering the second plane of development? An article I recommend to parents of children entering the second plane of development (ages 6-12) is "Who is the Elementary Child?" by John Snyder, which you can find on www.mariamontessori.com. In the second plane, children become more independent, and peers and adults outside of their immediate family start to become as important as the family which has nurtured them through the first plane. Whereas in the first plane of development children really want to stay close to home and emulate their parents, children in the second plane start to have role models outside home. Maya, for instance, says of her Lower Elementary guide (teacher) with the most absolute of certainty: "Jamie is the awesome-est person in the world". I feel strongly that these are the years, as parents, where we strive to keep our home units as stable and unconditional as in the first plane. We need to set aside time to connect with our second plane children and listen, listen, listen to them so that in the third plane of development (adolescence) they will talk to us about everything out of connection and habit. This is the loveliest age to introduce children to our favorite poet, make a trip to visit the fire-station, volunteer with them at a nursing home; in general, be by their side as they are introduced to those whose lives we would like to impress upon them. Her own desk to work at, above which hangs a cork board with a calendar and important reminders. A special shelf for displaying materials and equipment, giving them a place of honor in our home. An analog clock at Maya's eye level. A large, political world map which is switched out every few months with a topographical map. A library of books, which includes a set of World Book Encyclopedias, a world atlas, and a beautiful anthology of poetry for children. We are slowly building our library of books recommended for Elementary age children by our school. In this library we want Maya to have books so beautiful that she will want to pass them on to her own children. Paper of different kinds, and a few quality art materials, sewing supplies ￼and yarn are always available. What are Nina's favourite activities right now? Nina is in the first plane of development so her favorite activities are doing whatever I'm doing around the house. She is a lover of laundry, dinner prep, watering plants and cleaning. She also loves a good book. The most interesting thing for me over these past few months, as her vocabulary has exploded, is watching her develop a relationship with her sister because they can now converse. My favorite conversations are when the girls share with each other what work they've done at school. Where do you get your ideas and inspiration from? Are there any books, websites, blogs that you could recommend? I get my inspiration mainly from my children's amazing school and the dedicated parents who form part of our Montessori community. There is a vibrant Parents Association at our school, and guides and staff members who provide a wealth of information. Johann and I recently became members of the Montessori Family Alliance, which is a non-profit organization whose mission is to support Montessori families. I also find myself often referring to Maren Schmidt's blog and appreciating how she makes the Montessori philosophy understandable and accessible to all parents, not just those who send their children to Montessori school. I think www.mariamontessori.com is a great resource for learning about authentic Montessori practice. For insight into what AMI Montessori classrooms look like, I love Montessori Guide. Several of the videos on that website were filmed at my children's school. The video titled "Snakes" was filmed entirely in Maya's Lower Elementary classroom, so although I am biased, I recommend it highly for those seeking understanding of a Montessori Elementary environment. For parents who are genuinely interested in Montessori Elementary and the second plane of development I recommend two books. One is "Children Who Are Not Yet Peaceful: Preventing Exclusion in the Early Elementary Classroom" by Donna Bryant Goertz, and the other is "Tending the Light: Essays on Montessori Education" by John R. Snyder. In general what Montessori has brought into our lives is respect and understanding of how to meet the emotional and developmental needs of our children; how to "follow the child", as Dr. Montessori said. My first piece of advice for those wanting to bring Montessori into their home is to remove the screens. Just try it and you may just find after a few days that you don't miss them at all. I have found our screen-free existence to be the means to a calm and connected way of being in which our children truly develop the skills of concentration and the ability to be engaged in independent work for extended periods of time. The second is to move away from a family culture of rewards and punishment, if this is your current model. A system of rewards and punishment is just not congruent with Dr. Montessori's philosophy that children are intrinsically motivated, and that we can provide them with purposeful work in a carefully prepared environment to support this. Lastly, I have found that it does not suffice to have a delegated "Montessori area" in our home for our children. In order to truly follow the Montessori philosophy, we need to apply it to all areas of our home. This involves a carefully thought-out environment in which our children's work and play spaces are incorporated to where the entire family spends most of their time. When our children are off working in their bedrooms or playrooms we miss out on valuable opportunities to observe them and connect with them. Connection and peace is what every family seeks and my family has achieved this, in large part, through Montessori. If you haven't already you can follow Sveta and her family on Instagram at itsapracticallife. A heartfelt thank you to Sveta for being so generous with her time. It warms my heart to know and connect with like minded parents around the world. There are so many practical suggestions, further reading and words of wisdom in this post, I hope you enjoyed it as much as I did. Today I interview my seven year old son about Montessori. He started Montessori in the parent toddler class and is now in Cycle Two, Montessori Elementary. School was great. I did an SRA book, I did an hour of it. I also did some French games. Some division with the division board. That's all I can remember. What does a typical day at school look like? We do all sorts of things. Like normally I will do a bead chain. On Tuesdays we have French. Wednesday we have sport. Music is on Wednesday after sport. Lunch is at 12 after play. In term one we had swimming on Thursdays. We start school at 9 o'clock and finish at 3 o'clock. This week my job is on language shelves, I have to sort out the SRAs and put the books in order. I put the Grammar boxes in order. I shake my teacher's hand in the morning to say hello and in the afternoon to say goodbye. Can you tell me who Maria Montessori was and why she was so important? What did she do? She invented the Montessori school. She wanted peace and she survived World War One and Two. She wanted peace and she never seen so many people dying and fighting. She invented Montessori schools to be peaceful. On Maria Montessori's birthday we do some peace related things. We do work called folding paper cranes. You can choose your own work and sit with your friends. You can have snack at any time past 10 o'clock. You can work at your own pace and you can work for as long as you want. You can do what ever work you want within the classroom. We don't have homework. Can you describe your school to me? What does it look like? What does it feel like? It feels great when you know everybody and know where the shelves are. Like the math shelves are near the door. Language shelves are at the far end at the side of the classroom. The geometry shelves are also near the maths shelves. We have the quiet room in a corner of the classroom. We have (pet) mice at the far end of the classroom. We have the school library across the road past our class neighbour. We have assembly in the hall. My school is beautiful. I don't know, it just is. We learn geometry, language, maths, botany, history and science. French. Grace and courtesy. Having my best friend and working together, especially with the bead chains. What do you like least about school? What are your favourite materials? What are your favourite subjects? I would say… bead chains. Maths. I also like the SRA book and French games. What do you do with the bead chains? I count them and I have memorised all of them. There is a notation of cubes and squares. By working in the quiet room with my best friend. Otis (4 years old) also wanted to be a part of the interview and said that his favourite activities are flower arranging, cutting, drawing, numbers and shoe polishing. I loved all of Caspar's responses, I can't believe maths is his favourite subject and it's interesting to see how important his friends are to him. I'm definitely going to do this again and perhaps interview the boys again next year! I have briefly mentioned the Toilet Learning Booklet which I have produced with Meg Hicks (from At Home with Montessori and The Child's Space). Meg has been such a wonderful friend and mentor to me. She has a lovely and warm approach to parenting and she is also a really good communicator. Toilet Learning The Montessori Approach is hopefully the first in a series of booklets that we produce together. Meg is also a busy mum, she has a very interesting Montessori story including a couple of fabulous projects in progress. I asked Meg to share her Montessori journey. I started out at a Montessori school, in Cape Town, South Africa, when I was three. My mother chose the school based on its reputation for high quality learning experiences for very young children. I was three at the time and some of my strongest childhood memories are from that period in that my life. I clearly remember the number rods, the map cabinet, care of our classroom rabbit, and the polishing works. Those were a staple in my life at Montessori school - with my teacher commenting on that fact that her brass objects had never been cleaner! Moving on to a traditional school (there were no Montessori schools for older children in my area), it was clear that I had a different kind of work ethic. That remained with me throughout the rest of my schooling and even now into my adult life. My lifelong interest in the world had been awakened and managed to survive the onslaught of deadening tactics commonly employed by educational institutions! I learned to read at a young age using the Montessori materials at my disposal and became an avid and insatiable reader, another character trait that stuck. On to high school and then university where my lifelong ambition to become a teacher was realised. However my first three jobs (as a teacher in a special needs school in Botswana, a high school music and drama teacher in New Zealand, and a relief teacher in a primary school in Australia) were terribly stressful and not at all fulfilling. I left feeling disillusioned and indecisive about my future as an educator. Then I happened to stumble across a listing in the Yellow Pages for The Montessori World Education Institute. The people I spoke to encouraged me to make contact with and visit local Montessori schools, as several of them were looking for teachers. After visiting one school and spending three weeks as an observer in the classrooms throughout the school (3-6 and 6-9) I was invited to join the community as the founder of their inaugural Upper Primary classroom for 9 to 12 year olds. I undertook my Montessori teacher training for 6 to 12 year olds and was mentored by several wonderful and experienced Montessori teachers in that school and other schools. Leaving that position a couple of years later to have my own child was both exciting and sad, as the connections made within that community will last a lifetime. I decided to pursue Montessori Infant Toddler training, and was a little disappointed in what was on offer, needing something that was both flexible and affordable. But everyone starts somewhere! And I have come to realise that Montessori as a teacher is more about the journey than the destination. We are so blessed to have inherited the legacy of the body of information that Dr Montessori left behind. Indeed her prolific writings, and that of her counterparts and collaborators, are a wealth of knowledge that seems a century before its time. I pursued training for the 3-6 level, and then started a community-based Montessori project supporting families in our regional area to establish early learning relationships between parents and children, to empower parents to make the most of their role as their child’s first teacher, and to introduce the philosophy and approach to life that Montessori offers to families with children. This project went on to win a national award for innovation and excellence in the provision of children’s services and is still running 7 years later, under a committee of management. More recently, I have been fortunate enough to have written articles for various Montessori publications around the world, presented workshops at three international Montessori conferences, and run a short course at the local campus of Edith Cowan University for fourth year education students on alternative approaches to education. I now homeschool my two sons, aged 4 and 9, run a Montessori-inspired “unschool” for children aged 3-12 looking for a part time alternative to school, run a Montessori Parent-Infant-Toddler Community and consult with parents around the world helping them to create child-centred spaces within their homes. I am currently undertaking trainer-in-training studies through the Montessori Institute, with the intent of becoming a teacher trainer for that organisation and am collaborating with the Centre for Guided Montessori Studies in the creation of their Infant Toddler Teacher Training course which will be MACTE accredited. My true passion, lies with the very young child, the parent and the family. My own journey through homeschooling has awakened my awareness of the role of the family in the development of the child. I find real meaning in supporting parents in their work of supporting children, reinstating their power in a culture that has dis-empowered them almost entirely, advocating for the rights of the child within the family and within society, and helping to make the world a better place by starting at the very beginning of life when the critical period of development begins. My work is slowly beginning to take shape and this collaboration with Kylie, and the realisation of our dream to provide clear and simple information to parents around the world who want a child-led, family-centric approach to parenting and education, has reached the first milestone in the Toilet Learning Booklet. We plan to publish other supportive booklets for parents of very young children, and sincerely hope that they bring as much joy and satisfaction to each of you in the “doing” of them, that they have brought to us in the writing of them. I read so many amazing blogs from around the world, however not so often I come across a site that looks familiar. It's not the beautiful landscapes, the gorgeous faces of the children but the philosophy by which they live which feels so familiar to me. Today I would like to introduce you to Kathleen and her son Hayden. Kathleen blogs at Le Blog de Maman K which is French and is here in English. Kathleen, Thank you for sharing your family and story with us. Can you tell us a little about yourself, your family and where you live? I am passionate about children and a convinced Montessori mum and soon to be a Montessori teacher. I live in Aix-en-Provence, France with Emmanuel, my husband and Hayden, my 2 year-old son. I am French but have spent a lot of time in Anglophone countries growing up so I really feel like a citizen of the world. We had the chance to visit Sydney as a family for a month last December (one of my best friends live there) and we fell totally in love with Australia. What an amazing country! We would love to spend time there as a family. During my pregnancy, I read a lot about child development, child education and child well being. My husband and I had many discussions about our baby and the choices that we would have to make as parents. We not only agreed that communication, love and respect would be at the basis of our education but we also agreed that it was extremely important to listen to our instincts as parents. I suppose it is pretty basic but it helped us refocus many discussions on our family and on what works for us rather than to listen to recommendations by paediatricians, family or friends. Our first choice as parents was to try haptonomy and it really helped us connect with Hayden very early on and communicate with him in utero. When Hayden was born, his eyes were wide open. His body was tonic. He was alert and curious. I would look at him and I could feel that he was eager to discover the world. When I came across a book about Montessori education in a bookstore (by Tim Seldin), I immediately felt that this pedagogy was a perfect fit for our family. I loved the idea of preparing the environment and materials for the child and the real autonomy and freedom it gives the child. I started with the mobiles and never stopped. Since then, I fell completely in love with Montessori education, read many books about it and even got proper training. I know one day I will teach Montessori education, hopefully in my own small Montessori school but, for now, my objective is to try and raise an independent-thinking, happy and confident child. I love your blog - Blog de Maman K because it’s so clear and easy to follow. Parents can easily look around their home for similar materials and feel inspired by your activities – from sink/float to melon scooping it’s really a practical and hand on approach to Montessori in the home. Can you describe your approach to Montessori and how does it impact your everyday living? In my view, Montessori is like haute couture education. It is made to measure. All the activities I prepare for Hayden are based on the observation of his abilities, his areas of interests, his sensitive periods and our family rhythm. Another child may have a different development and be interested in the activities I propose for him at a later or an earlier stage. However I like simplicity, practicality. All the activities I propose share these elements, they are easy to prepare and they give Hayden the lead. My approach is also respectful of his rhythm and his level of fatigue. Some days, he just wakes up and feels like running around so I will skip indoor Montessori activities and we will go out for the day. I would hate to overstimulate him. I am very attentive to the element of pleasure and fun. I strongly believe that a child learns more when he is having fun and when he is interested. And everyone needs a day off! Of course, all of this involves work in the evening to prepare activities, to think of what could interest him, to rotate his material, to make sure his environment evolves with him to look for interesting toys/materials. But, to me, it is not work, it is fun! My greatest satisfaction is to look at him absorbed and focused on what he is doing and I can tell you that it is worth every single minute of my time! I suppose I am very passionate about all this. I read a lot of books, not only about Montessori education but also about positive parenting (work by French therapist Isabelle Filliozat or Gordon or Lawrence Cohen), child development (work by Catherine Dolto, Catherine Gueguen) and non violent communication (Faber and Mazlish) as I think these areas are intricately linked and all contribute to the ambiance and environment. I also like to find healthy and kids friendly recipes (gluten free or lactose free) as I am convinced nutrition has a great impact on child behaviour and is part and parcel of education. My sources of inspiration for Montessori are mostly Anglophones (France is way behind but is no doubt in the catching up phase) include books (How to raise and independent Child by Tim Seldin, books by Maria Montessori), blogs (Montessori or just creative or educational ideas) : your blog of course, I love how organised, tasteful and creative you are - blog by mama papa bubba, le journal de Liv et Emy, blog ensemble naturellement, instagram, pinterest, my friends, baby/toddler groups and my Montessori community. Finally do you have any tips or suggestions for parents beginning Montessori in the home? What are the key elements you have found useful that you can recommend to others? My first tip would be to take a break and observe. Observation will teach a parent a lot about his child, his needs and the environment he evolves into. For example, sitting down on the floor in a child’s bedroom or in the house is a eye-opening experience and helps see things from a child’s perspective. You may spot that he needs a step to reach the lights, a lower hanger to be able to hang his coat himself or a chair to sit down and put his shoes on. Small details make a big difference. A child will have greater autonomy and self-satisfaction in a prepared environment. Then, believe in your child’s abilities and let him lead you. He is interested in your keys, why not give him some locks to play with or let him unlock the door/car? He is interested in your saucepans, why not involve him next time you cook? Children are constantly sending us messages, trying to communicate with us. We just need to try and understand them. There are many Montessori activities that you can put together with materials that you already have in your home. Start with these first. You do not have to invest a lot of money to start Montessori education in your home. For example, you will be amazed at how much a toddler can do around the house and how interested he will be to contribute to what we call chores. Did you get involved in any other activities with Hayden? When he was born, we did baby massages sessions and we regularly consulted an osteopath. I believe it contributes to good motricity. When he was around 10-month old, we also did a baby sign language course and it had an amazing impact on our communication with Hayden. At first, he would communicate with us with signs, then he would repeat the word and the sign. It was simply amazing. By the time he was 18 months, he talked a lot !! At the moment, we attend English toddler groups and music groups. Hayden is being raised a bilingual kid and he just loves music and singing! I have banned all screens in the house around Hayden. It is sometimes hard to accept for our families (as they are tempted to do facetime and show him videos) and tricky in practice (as we are all surrounded by technology like smartphones and computers) but we strongly believe that Hayden is too small, that he has time to discover technology and that it is essential for Hayden to anchor his life in reality. He is only 2! I recommend following Kathleen on Instagram here and Facebook here.